Bryn Oh's "Music And Art Event For ALS"
SL Video: "Marianne McCann's Tenth Rezzday Party"
SL Video: "Dance Out of Love"
SL Video: "One Billion Rising"
SL Video: "Mardi Gras Party "
The Isle of View, Valentines Day themed place on the Grid by Linden Lab, has gotten a makeover. 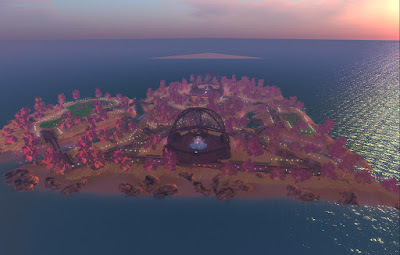 Last week, the heart-shaped sim of the same name, plus the "Isle of View 2" duplicate island, were taken offline. This week, the Isle is back, bigger than ever. Instead of a one sim island and a duplicate, the place has been expanded to cover four sims. As it turns out, there's some activities going on at the place, involving both Linden Lab and the Parkinson's charity "Team Fox," which for years has been collecting funds in Second Life through the "Creations for Parkinson's" In the latest official blog post by Xiola Linden, she states that not only do residents have a chance to donate money to the charity there via the purchase of gifts for friends, but Linden Lab promises to match the total raised from them, doubling the amount. The Isle of View is the perfect place to discover that the truest hallmark of love is time spent with our loved ones. This year it’s bigger and better than before - with some rebooted classics and new festivities! 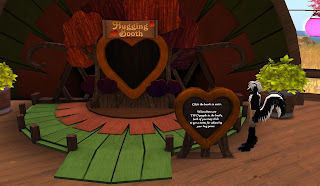 ...Visit the Isle of View kiosks any time this month to send virtual roses and candy hearts to your Second Life friends and sweethearts. Nothing is better than giving, so the L$ proceeds from the sales of these gifts will go to The Michael J. Fox Foundation for Parkinson’s Research. Visit the Isle of View to select and send your Valentine’s gifts. We’ll match the final total and double the donation love! How’s that for a sweet pairing? On Friday February 12, some of the Lindens will be at the Isle for an event (Valentines Day February 14 falls on a Sunday). 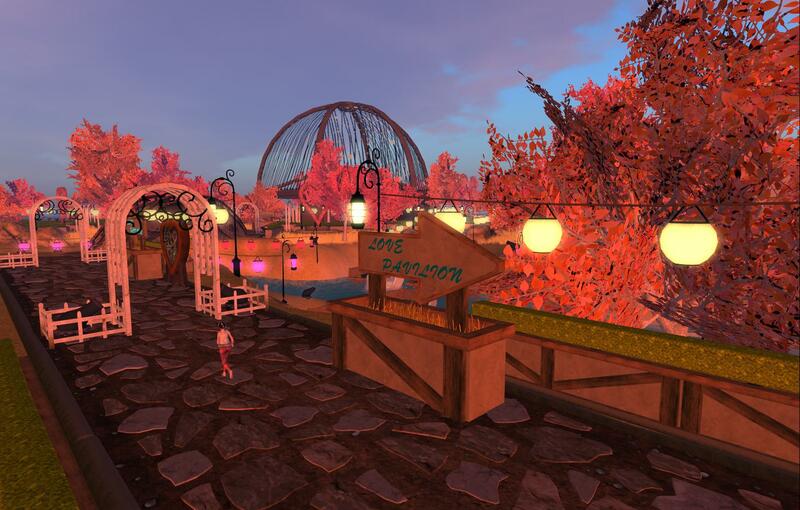 From 10AM to 12 Noon and 2PM and 4PM SL time, Various Lindens will sit at booths and dunking stools for the "Hug a Linden" and "Dunk a Linden" events." We understand that love is sometimes complicated. You have got to work hard to make it work - and we’re not afraid of a little tough love. 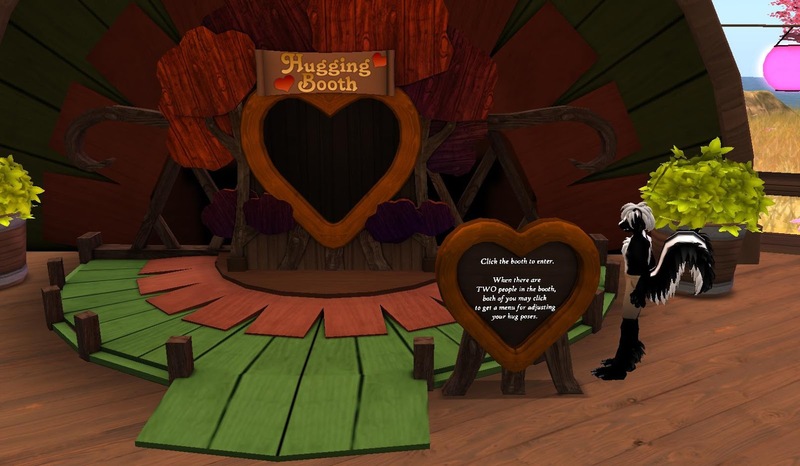 ... we'll be mixing things up with the return of Dunk-a-Linden and Hug-a-Linden booths! 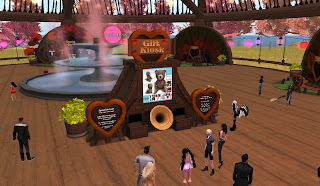 You may just meet your virtual Valentine while waiting for a chance to dunk or hug a Linden - and if you don’t - hey you still got to dunk or hug a Linden! It’s a win-win situation. 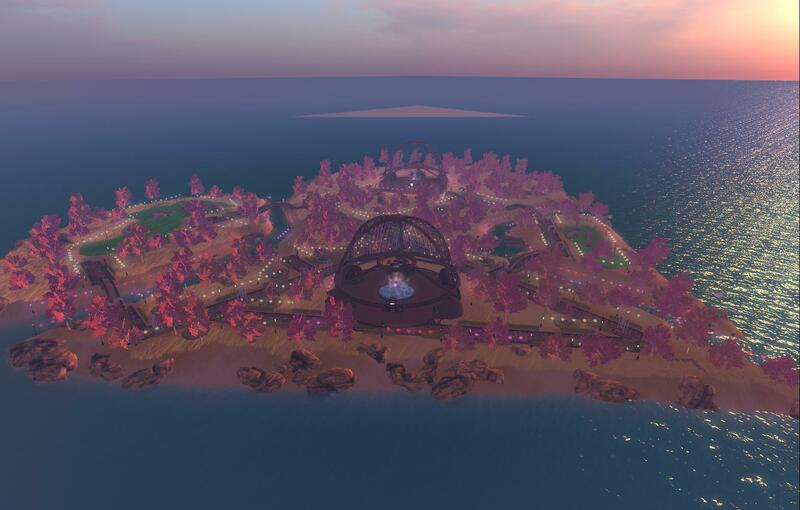 The Isle of View, the Valentines Day themed place on the Grid by Linden Lab, has had a bit of a history. For years, it was the scene of the annual "Kiss a Linden" event, where residents had a chance to pucker up with one of the Lindens. It last took place on 2011. But in 2012, it never took place, part of Linden Lab's lack of interest in interacting with the residents in those days which was reflected in no longer sponsoring some events and calling off others they used to hold. But in 2014, the Isle of View sims returned, although there would be no events by Linden Lab. So why not bring back "Kiss a Linden," instead of taking the "Hug a Linden" from the Teen Grid when it was around until it's merger with the main one in 2011? One can only speculate. It's possible the Lab is a bit wary of embarassment if someone chose to prank them with a carnivorous alien (NWN article) or a donkey avatar, in which case, they would be quite literally kissing a resident's you-know-what. For the Linden blog post in it's entirety, Click Here.